What is Facebook afraid of? 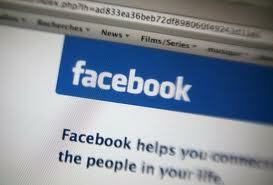 You’ve no doubt heard that Facebook filed papers with the SEC this week moving forward with their plans to go public. As part of the filing, they are required to list anything that could negatively impact the value of the company. Facebook listed 35 risk factors that could seriously impact shareholder value. Mashable breaks all of these down in layman’s terms. users increasingly engage with competing products; – Many users have made the leap to Google+ due to privacy and security issues. there are changes in user sentiment about the quality or usefulness of our products or concerns related to privacy and sharing, safety, security, or other factors; – Facebook users could get fed up with the spam, scams and hackers and jump ship. there are adverse changes in our products that are mandated by legislation, regulatory authorities, or litigation, including settlements or consent decrees; – Several countries have pending privacy legislation that could drastically change the way Facebook does business. we adopt policies or procedures related to areas such as sharing or user data that are perceived negatively by our users or the general public; – Yeah, users generally dislike the sharing of their data, so this one is a biggie! technical or other problems prevent us from delivering our products in a rapid and reliable manner or otherwise affect the user experience; – Any time major changes are implemented there are often very vocal outcries from the masses. If it ain’t broke – don’t fix it. we fail to provide adequate customer service to users, developers, or advertisers; – Facebook has customer service? Who knew? It’s good to know that Facebook acknowledges scams, spam, malware and privacy issues as something of concern. The big question is will it be enough for them to increase their efforts and take serious action in combating these issues that currently plague the platform and its users.